Here are helpful websites that we’ve found to be very useful in understanding the effects of environment, diet and lifestyle on autism, ADHD, developmental delays, allergies, asthma, autoimmune disorders and other children’s chronic health conditions. One stop resource for parents of children with developmental delays in sensory, motor, language, social and emotional areas. Please note that Developmental Delay Resources merged with Epidemic Answers in 2013. Website to accompany the book Health Child, Healthy World contains some great resources on making a safer home environment for our children. Latest research involving the environment and health. Promotes healthy, green solutions to raising children. Great site w/ resources on “Greening” your life. How to find healthy, local, organic, sustainable food. A site all about sustainable living and eating. Campaign for healthier school food. Food allergies don’t have to be a life sentence. One stop shopping for allergen-free foods. Coalition of researchers, healthcare providers and parents dedicated to defeating autism (Defeat Autism Now!). Supporting families with children who have autism and helping them to find effective treatments. 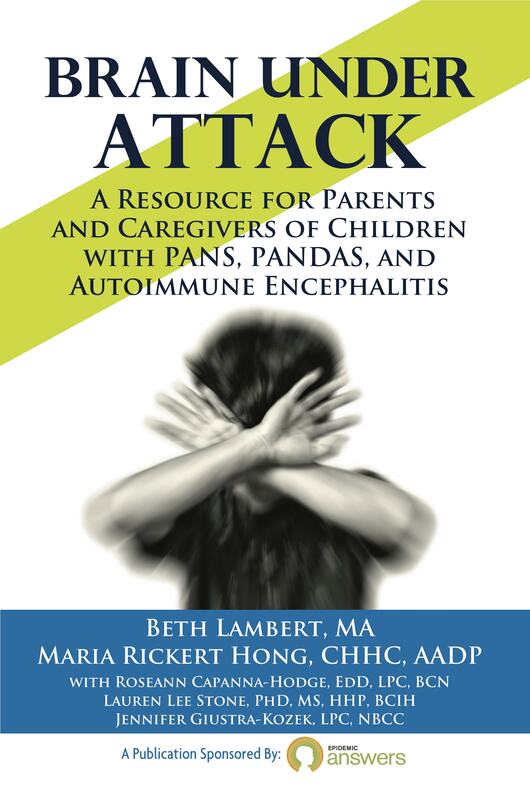 Educating parents about the role of lyme and coinfectors in the pathophysiology of autism and other neurodevelopmental disorders.